So Central St. Martin had their annual fashion show to showcase the work of its graduating students. 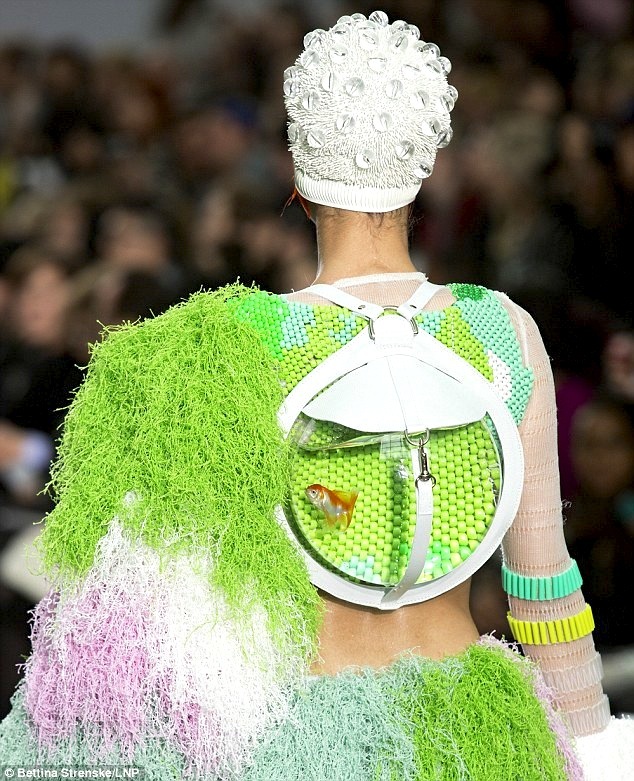 Designer Cassandra Verity Green decided to feature her ‘pet goldfish’ swimming in her handbags on the runway. Now that’s fishy business. Now fashion is an art form and the runway features lots of fashion that never retails. Fashion always seems to strike a nerve, push boundaries and create controversy. But, isn’t that what fashion is supposed to do? 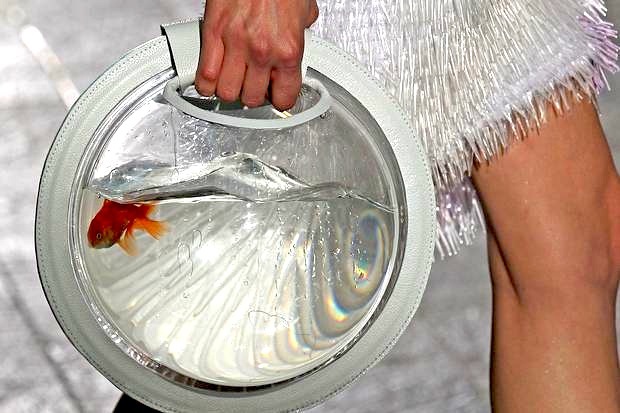 Whether Cassandra meant to retail her goldfish handbags or not, we must admit that it was a creative idea. It is the translation from runway to real way that the RSPCA is concerned with. But I think most of us want our handbags to accommodate items such as cell phones and lipstick, not goldfish.